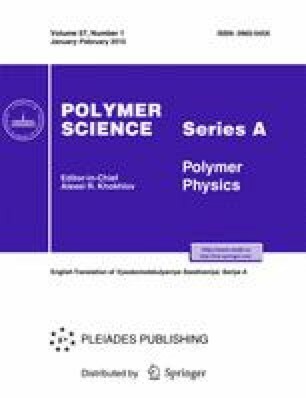 The multiple-trapping model with a Gaussian trap distribution was used for the numerical analysis of the effects of nonequilibrium transport on the temperature dependence and field dependence of the mobility of carriers in a typical molecularly doped polymer. It was shown that, with allowance for the prescribed Poole-Frenkel-type field dependence of mobility under the conditions of nonequilibrium transport, the observed decrease in the effective energy of disorder may be explained as a compensation effect with no change in the initial energy distribution of hopping centers. Original Russian Text © A.P. Tyutnev, A.V. Nikerov, V.S. Saenko, B.L. Linetskii, 2015, published in Vysokomolekulyarnye Soedineniya. Ser. A, 2015, Vol. 57, No. 1, pp. 90–96.